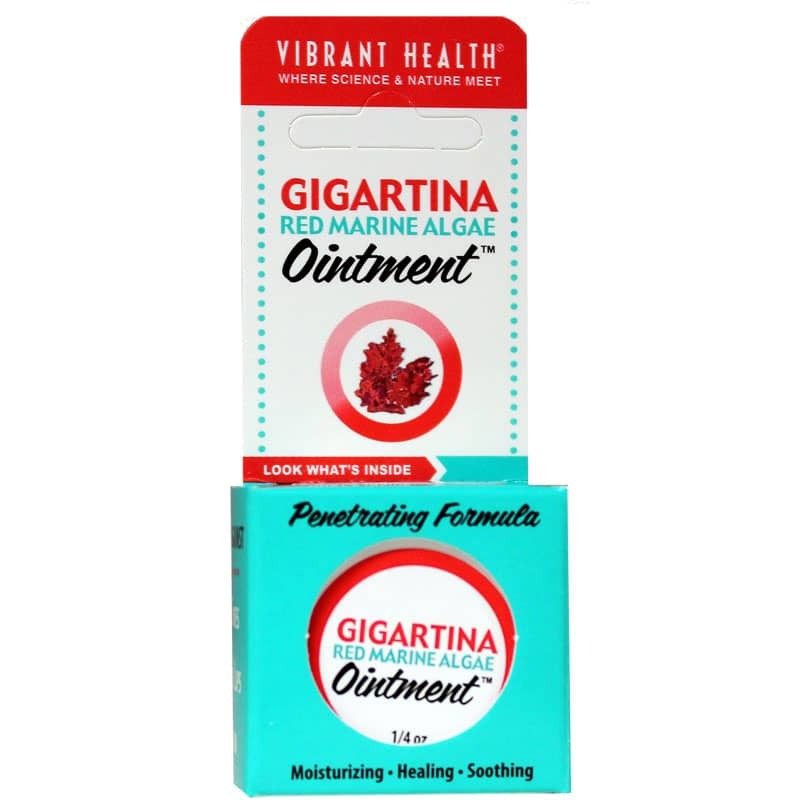 Do double duty for your skin with Gigartina Red Marine Algae Ointment by Vibrant Health. Ideal for skin irritations, this ointment contains immune-boosting Gigartina red marine algae extract along with natural soothing oils for soft, healthy skin. Gigartina is an ocean-growing algae rich in a variety of minerals, vitamins and nutrients. Scientists have discovered that gigartina algae strains are excellent sources of sulfated polysaccharides - sulfur-containing complex sugars that support healthy immune system function. In addition, they're rich in carrageenan, making them ideal for bacterial and viral skin conditions. The base of this luxurious, healthy ointment is made from natural emu oil, soy oil, beeswax and shea butter. Emu oil is a natural source of essential fatty acids that nourish skin and tissues. 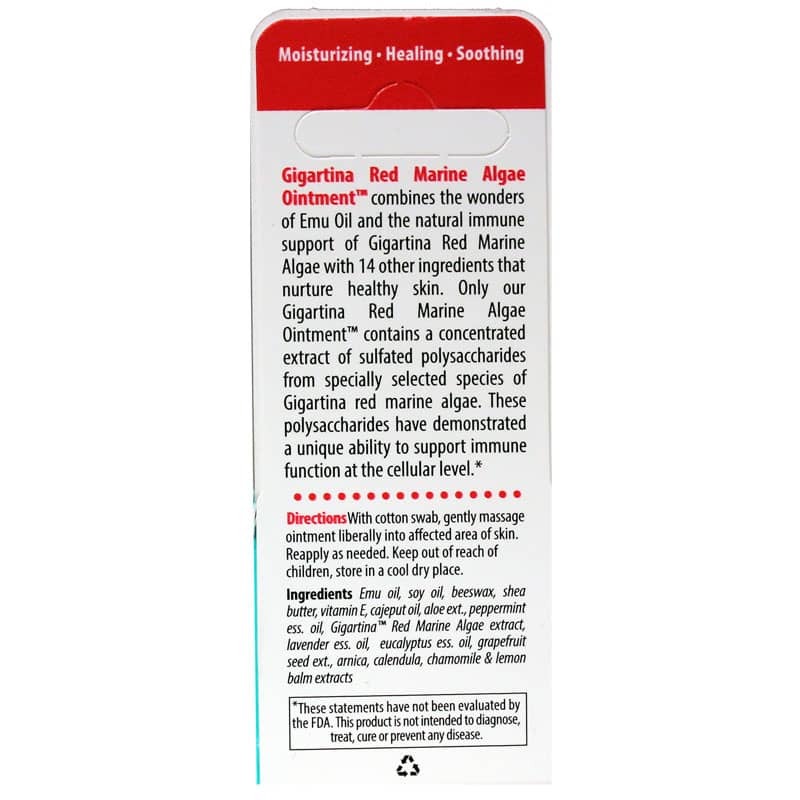 Gigartina Red Marine Algae Ointment also includes lavender, eucalyptus and peppermint essential oils for an intoxicating scent and added support for irritated tissues. Extra soothing properties come from calendula, chamomile and lemon balm extracts. Give your irritated skin the best ingredients for recovery and pampering. Order Gigartina Red Marine Algae Ointment today. With a cotton swab, or fingertip, gently massage RMA Ointment onto skin as often as needed to keep skin moist and soft. I take red marine algae by capsule. I wouldn't be without it!